Smartphones have become the go-to research companion for consumers. For all the talk of mobile displacing brick-and-mortar shopping, our data finds that these devices are hugely supportive of in-store foot traffic. Checking hours and finding nearby locations were two of the most popular use cases from respondents. According to our survey results, 69% of shoppers use their smartphone to help them shop. When asked how they typically use their smartphone to help them shop, the top-five responses were researching products (63%), price comparison (62%), search for coupons or deals (56%), check for store hours (54%) and find nearby store locations (52%). 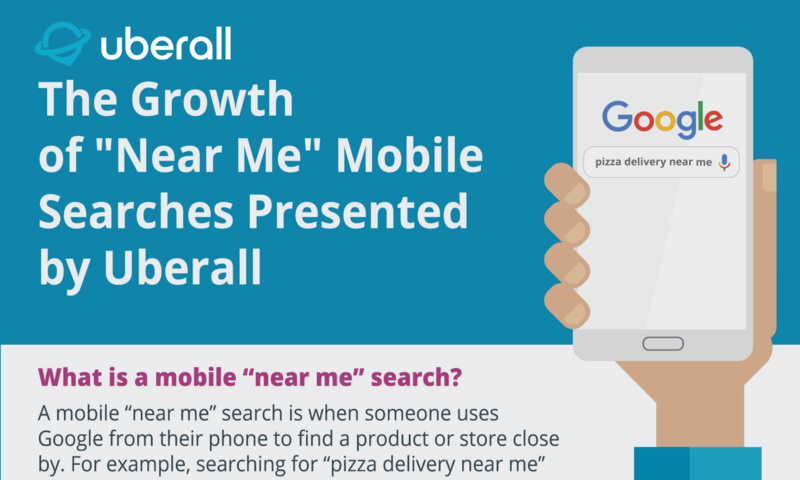 The recent emphasis on “near me” search is being driven by changes in consumer behavior. For example, more people are opting to keep GPS and location services on while using their devices. While this would have killed your battery years ago, that’s not the case anymore. As a result, more consumers are taking advantage of proximity-based searches. Our survey found that 82% of people have tried a “near me” search on their mobile devices, while only 18% haven’t. Among millennials, “near me” adoption was even greater, at 92% versus 8%. In the survey, respondents were asked, after completing a “near me” search, how likely they were to click on the first two to three search results they saw. Sixty percent said they were “very likely” to do so, with another 33% saying “somewhat likely.” In total, 93% said they were likely to click on the first set of results. Alternatively, 5% percent said they weren’t sure and just 2% said they wouldn’t likely click. The restaurant and quick-service industry sees a lot of “near me” searches. This makes sense given how proximity-based eating is as a behavior. When asked what they typically use “near me” searches for, 84% said food. It’ll likely always hold the top spot. Rounding out the top-five were entertainment (56%), banking (50%), apparel (41%) and personal care (38%). When asked to rank “specific retailer or store ‘near me’ searches,” “general product ‘near me’ searches” and “specific brand ‘near me’ searches,” the top response was “a specific retailer or store.” Forty-eight percent ranked it first. This includes searches like “Foot Locker near me.” Generally searching for a product (e.g., “Where can I buy toys near me”) was the runner-up with 29%, followed by searching for a specific brand (e.g., “Where can I buy Nike near me”) at 23%. The survey’s results show that “near me” is here only going to get even bigger. With more people choosing to keep their GPS and location services on while using their phones, a greater percentage of consumers are taking advantage of proximity-based searches. Marketers will follow the behavior and seek to deliver against that demand. We will see that play out in a variety of formats like traditional search, store listings, voice assistants, AR and beyond.